Today is day 20 in my quest for happiness. Each day it feels like the goal is being pushed further away. I’ve been thinking alot and I realized that I am the biggest barrier to my own happiness. I think part of the problem is that I push unpleasant things away without really addressing them which ultimately leads to a bigger problem. I think that if I start focusing on fixing the unpleasant things I can make them better so that I stress and worry less. This week has been a quick week as Monday was a holiday so no work. I’ve been reading more (thanks to my husband who gave me a beautiful pink ereader for Christmas). 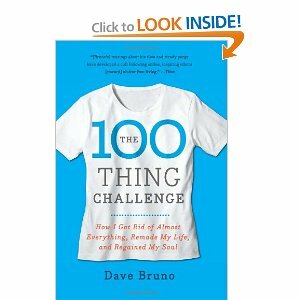 Just finished reading “The 100 thing Challenge” by Dave Bruno. The book was interesting. I know this sounds odd but it felt like there were too many words. I liked how it was drastic enough for him to feel it but not radical enough that others couldn’t relate. He didn’t count family items and shared items. He didn’t force his family to participate and buy into this. He chose to limit himself to 100 or less items that were strictly his. I would not want to have so few items but I do know that I have so much more than I need. There were moments while reading this book that I wanted to start counting my items to see where I stood. This of course would be bad for my mental health as I have counting problems (OCD). I was attracted to this book because 100 is such a beautiful number. I started to think – hmmm – 100 things per room. I could do this. but then I realized I’d be counting Q-tips and crayons and then my husband would find me obsessing over push pins and whether or not they should count as individual items or a set. I think it would help though to look objectively at what is surrounding me at home. I can’t find a notebook and pen right now at home. My head and home are so cluttered that I feel hindered by both. How do we strip away the unneccesary and leave only what is important? Will freeing out that space to create openness and flow increase our capacity for happiness? points to think about anyway. 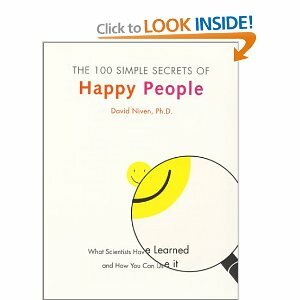 I’m now reading “100 Simple Secrets of Happy People” by David Niven. It’s an interesting read. Not far enough into it yet but I still prefer “Better Than Chocolate – 50 proven ways to feel happier” by Siimon Reynolds. There are little smilie faces throughout this book. I don’t know if I like them or am annoyed by them. It’s like the bubbly happy people out there that really just kind of piss people off. from “Better Than Chocolate” – Try cognitive therapy. from “Sink Reflections” – working on zone 3. Way number 3 in Better Than Chocolate states that positive thinking creates positive results. This week I will be working on rephrasing what I say to myself to turn the negatives into the positives. Question this on paper – is the thought helpful and realistic? Write down a more positive way of looking at your situation. Zone 3 using the flylady system is the bathrooms plus one extra room. I can do this. This week was rough – but here’s hoping to a great weekend. It’s amazing how much someone else’s “drama” can really effect me. I also think that I’m getting sick which doesn’t help things. So there may be some truth to feeling happier after exercising but I don’t think it’s for the reason the experts say. The only reason I feel happy after I’m done exercising is because I’m no longer exercising. Yes, yes I am a negative person but hey it’ll be okay. Breakfast for dinner – boosts the mood every time. Started watching Inspector Gadget with my daughter – she’s hooked and I’m shaking my head asking myself what I was thinking. Yesterday I tackled a kitchen job that I’ve been putting off for quite a while. I cleaned the inside of my refrigerator. Emptied one shelf at a time and cleaned and decided whether or not the items needed to go back in. My cleaner refrigerator definitely makes me happier. I’ve been making time every day to play a game with my daughter and that makes me happier too. Worn out – my brother went in for surgery and he is thankfully doing well. Looking on the bright side – I got to see my wonderful sister-in-law and then see the smile on my brother’s face when they brought him to his room and saw his wife. It was a very warm and touching moment. Chose to deviate from the plan and work on the family room instead of the kitchen. I couldn’t handle it anymore. We haven’t touched it since Christmas. It’s still a disaster but we can walk through it now. Getting ready for the weekend. Going to start reading some new books and spend some time with my family. Monday was bad – real bad. Not just the kind of bad that you can work through but a full-blown feel like crap don’t want anything to do with anything kind of bad. It wasn’t a terrible day at first but it did spiral downward as the day progressed. The last phone calls of the workday really got to me (frustrated, defeated, worried, confused). Typically I’m good at leaving work at work. Not on Monday. My husband also worked late so I knew I was going to be home alone with my daughter with my crappy energy sucking blues. There was also transportation problems for the next day which is always a major source of stress and anxiety for me. The plan quickly became play the next episode of Blue Toad Murder Files with my daughter and then enlist her in helping make dinner and dessert then on to the homework assignments. Nope – she had other ideas. But we did play together after dinner and then it was bedtime. I did use the time before dinner though trying to get my crappy mood to a somewhat better mood. Tuesday was better but only by so much. Again – work ended on a somewhat sour note but my husband and daughter picked me up and it was a nice drive home. There is enough distance from work to home to clear my thoughts and set my mood right. That is definately a positive for me. The drive is essential to my emotional well-being. My brain needs processing time. Sometimes counting my blessings or creating a mental to-do list is what is needed. Sometimes the silence paired with the open road is the ticket. Sometimes blaring my favorite music is the key but the drive is important. I’ve learned in the past that anything less than 20 minutes doesn’t give my brain the chance to properly switch from work mode to home mode. Monday was missing the drive between the calls and home life which very well could have been the problem. As the kitchen was a disaster I did spend 15+ minutes on the zone of the week. I’ll definately have to keep up on the zone work because as the state of my home fails so does my happiness meter. Did some time on the dishes. Did some time on the counters. Not enough to complete the job but definately enough to make a noticeable difference. Sadly though I did not exercise. If I’m not able to bring myself to exercise by Wednesday this week may be a failed week but I will still try. Exercise may really be an important key to my happiness and well-being. Some thought also needs to be put into why I hate exercise SOOOO much. I believe it has to do with the wetness factor. I extremely dislike being wet – I sweat when I exercise. Sweat makes you wet. Totally my OCD blocking this key to a healthier, happier life. Goal of 15 minutes of exercise. Maybe I’ll enlist my husband’s help since he’s home. Goal of 15 minutes working in zone 2. I’d also like to own up to my thoughts. Monday and Tuesday I tried to find ways to justify not exercising or trying to find ways to work around what I’ve done for the day and “claim” it as exercising but if this happiness project is to succeed I cannot lie to myself or to anyone reading this. I also thought about omitting it from the blog or simply giving up but these aren’t options either. Truth and committment to the happiness project and the power of 15! Grocery shopping finished and home at a reasonable time. We had a delicious meal of pancakes, eggs and sausage and enjoyed some family time. This Saturday was a great day. We were all off together and there were no plans – what a relief! Typically when the three of us have off together we always make plans because it happens less often than it should. We picked up a $20 PSN card and spent quite a while browsing through games on the PS3 and searching on YouTube for videos of the games and by the time we were done we had picked out several games for the whole family. 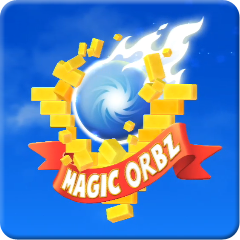 Magic Orbz is a game we all agreed on – fun, a bit challenging and all in all a great game. My husband and I played this for awhile and it was nice spending time with him. We also spent time working outside since the weather was nice. We cleaned up around our door and straightened up the shed to fit in the lawn furniture. The dogs got some fresh air while we worked and our daughter had fun playing outside. We then offered to cook dinner for my mom – Chicken and Beef Tacos! Super yum! The Blue Toad Murder Files was a game that capture both of our attention and we didn’t bicker or argue at all for the entire duration of the game! AMAZING! We completed the first 3 episodes and it was great! We went to my brother’s home for dinner – they make the most amazing food ever. Dessert? The most amazing apple crisp pie. My mouth waters just thinking about it. 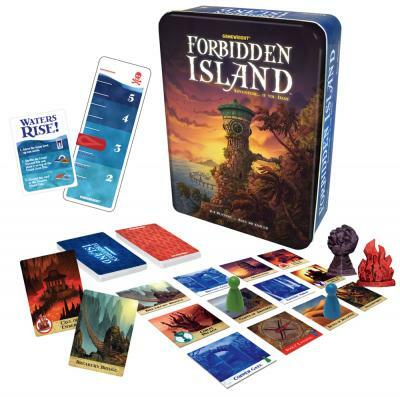 After dinner we played Forbidden Island by Gamewright games. It’s a cooperative play game and it’s definately fun! When I look at my happiness list I realized that it doesn’t cost very much money for me to add happy activities to my day, every day. The most expensive thing on my list is the subscription cost to Netflix or the text messaging plan on my phone. More than 3/4 of the list is absolutely free! For the things that make me happy again most are items that I already own. Food items are relatively cheap. I can surround myself with happy things with very little effort or expense. My dining room is now free from Christmas items, the outside area around my door is raked, straightened and clutter free creating a much more welcoming sight and the entrance room looks bigger. I found our missing shed keys, the ice scraper for our vehicle and cleaned out the lint from around our dryer. Lawn furniture is put away in the shed and the table is to the curb. PLUS, PLUS and PLUS. I declare week 1 to be a success! from “Better Than Chocolate” – exercise daily. from “Sink Reflections” – working on zone 2. Proof that I’ve actually completed this? I’ll be posting my progress including pictures. Supplies needed for assignment one: comfy clothes, an exercise partner (my daughter), cleared floor space in the living room and an open mind. Welcome to Thursday! For most of my co-workers this signals the start of the weekend. We have the option of a 4 or 5 day work week and most everyone takes the 3-day weekend. I on the other hand value the shorter days of the 5-day work week and the quiet peacefulness of the office on Friday. I’ve been using the power of 15 today to work on notes and phone calls. The happiness lists are proudly hung in my kitchen by the table so that whenever I need a pick me up it’s there to remind me. The zone cleaning is making a dent. When I see the rest of the house a shambles I remind myself that their week will come. Acceptance of the mess (temporarily) and valuing my time is helpful because I’m not beating myself up when I need to rest (physically and mentally). Today is also the day that I vow to get the beast to the curb. Staying optimistic that someone will see it and decide that they can’t live without it. Offered to help my daughter make a happiness list for herself and she is not interested so I didn’t push. Since the first assignment feels done to me I think I’ll work on a few pages representing the lists and put them in the album and keep the lists themselves on display. create some artwork representing my happy lists. continue using the 15 at work! I’ve decided to hang up the two happiness lists in our kitchen/ dining room. Four items were added to the “Things that make me happy” list. Lavender – it’s such a comforting smell. There is a rather large bunch of it right by my mom’s home. When the breeze blows just right it mingles with the fresh air and it tickles my brain just right. The color lavender is also quite wonderful – feels like home – warm but cool. comforting and peaceful. It should be my color. 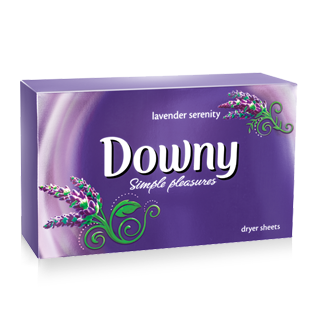 Fabric softener sheets – I imagine that it comes as little suprise that my favorite sheets are Downy Simple Pleasures – lavender serenity. When the laundry is drying this sent mixed with the warm fresh laundry smell lingers in the air. Our summer garden was probably the most wonderful thing we could have done as a family. It was my husband’s idea. I’m not much of a dirt person, or outside person, or take care of things person. I like to humor him though so we went to Lowe’s and Walmart. We picked up the seeds, the trays and bunches of soil. I have to say it was amazing growing the seeds into plants. They sat on our bedroom dresser and then the coffee table until they were ready to be planted. Our yard is small but he worked the soil and created two beds to plant our seedlings in. It was fasinating to see the process through. We had green beans and radishes. We planted cabbages even though none of us like them. We did it because my daughter wanted to say, “My Cabbages!” like the cabbage vendor from Avatar: The Last Airbender. We planted tomatoes and corn, zucchini and herbs. We failed at carrots and peppers but we tried. We even were able to harvest a handful of snowpeas. Every day the three of us would check it and explore. Do we have something new? Look at that bug? I would water the garden and “accidentally” miss and water the kids instead. The second bed had herbs – sage, basil, dill, parsley and cilantro. There was mint and some others that I don’t quite remember. I would have my daughter and the neighbor’s children smell the different herbs and taste them to experiance the joy of our little family garden. We bought it and it looks quite lovely in our kitchen/ dining room. It’s just the right size for our small space. So we moved the beast outside and someone agreed to take it. This was the end of September. It didn’t fit in their vehicle. It doesn’t fit in ours. No one else wanted it. So there is sits. I’ve told my husband that we need to put a sign on it that says “FREE TABLE” and put it on the curb. Still it sits. At first it was covered with tarps, then the tarps blew off. Today I made the sign and took the first step towards getting rid of the beast. I went to move it but unfortunately it is not a one-person job. I did pick up the tarps though and sweep down the steps so all is not lost. From there I headed back inside to the entrance. Swept, mopped, decluttered. I threw away over 15 items and found a few items to give away. Put a few items to their proper places (maybe just proper rooms) and I must say that I’m impressed with how much better it looks. I even did an extra 15 minutes today in zone 1.